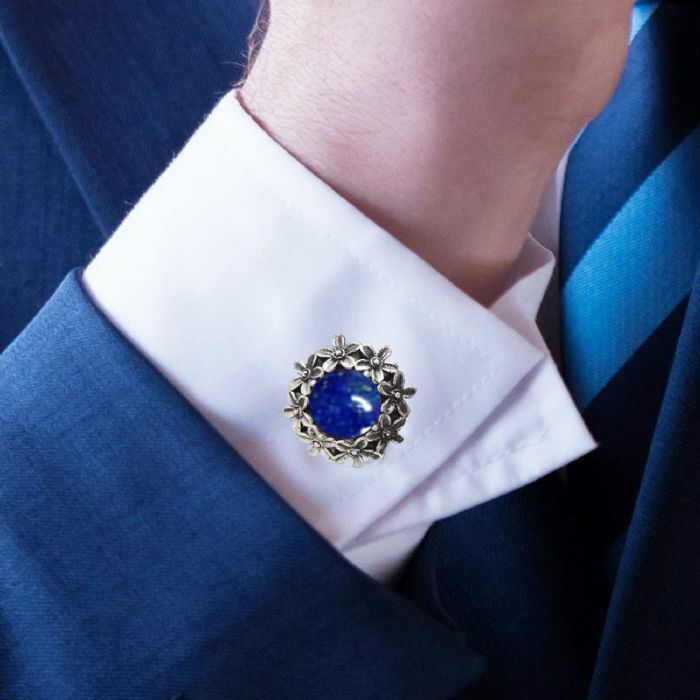 The stones are all-natural genuine 10 mm Lapis Lazuli gemstone. which the artist soldered into delicate little silver flowers surrounding the gemstone. Lapis Lazuli is a spiritual stone in the full sense of the word. alleviating despair, and boosting the immune system. broadening understandings and increasing capacity for deeper study. Balances energies and boosts the immune system. According to Kabbalistic wisdom, silver is a metal of graciousness and benevolence. The gemstone is set in silver to help you absorb the healing properties of the gemstone.